Gunfire, spells, commentators talking a mile a minute, momentum shifts, plays you can literally miss by blinking: there’s so much going on during esports events that there’s hardly any time to spare a thought for what’s going on behind the scenes, let alone what’s happening right in front of your eyes. Observers aren’t as immediately noticeable as commentators, but their role in esports broadcasts is equally important. In short, they’re responsible for much of what you see on screen during matches. They follow the action, pick which moments to focus on, and try to make visual sense of the chaos. I spoke to professional Counter-Strike and PlayerUnknown’s Battlegrounds observer Heather Garozzo about what the job entails, and she explained that, first and foremost, it’s about crafting a story—even if that means viewers don’t always get to see the Hype Action Moments as they happen. Figuring out what exactly that narrative is and massaging it into something that’s legible in real time is the hard part. Sometimes, it’s a matter of having done your homework and understanding the tendencies of players in the matches so you’re observing. 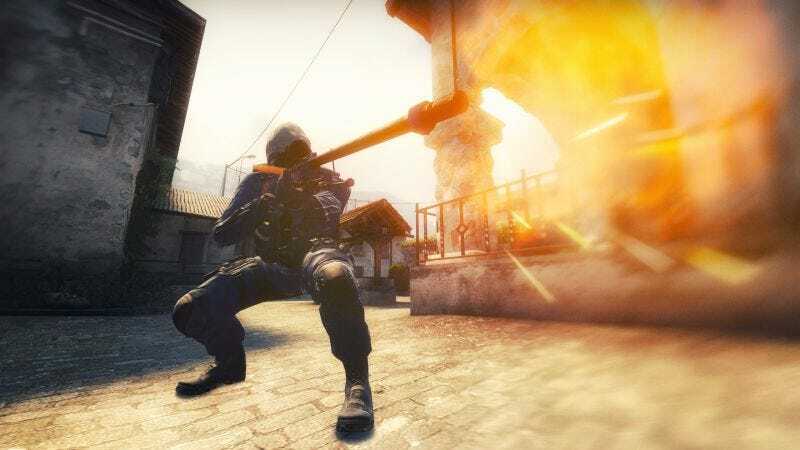 Garozzo used CSGO player Fernando “fer” Alvarenga as an example, explaining that he has an uncanny ability to get behind the other team’s offense while he’s on defense. “Even though maybe he’s not getting a ton of kills, he’s putting all this pressure on the team to make a move,” she said. Garozzo, then, makes a point of keeping an eye out for those moments. In her two-and-a-half years as a professional observer, Garozzo’s found that even moments that should be exciting can fall flat if the camera doesn’t do them justice. If, however, the camera is following that one lucky (or unlucky, depending on your perspective) player, they transform into a scrappy underdog and an audience darling. If they overcome the odds and down two or three enemies, then that’s easily the moment of the match. “You really want to give the camera time not necessarily to the player that has the best chance of getting the kill, but the best chance of making a game-changing play,” Garozzo said. Depending on which game Garozzo’s observing, she could also be working in tandem with anywhere from one to eight other observers, though CSGO—the game she’s most experienced with—typically employs a two-observer system. One person tracks the match as it’s happening while the other acts as the “delay” observer, scanning the kill feed to pick up on big moments the main observer might have missed. That’s only the tip of the communicatory iceberg. Garozzo and her co-observer also have an ongoing back-and-forth with matches’ commentators who, in turn, inform Garozzo’s choices about where she ends up pointing the camera. “We narrate for them, and it’s a two-way street because sometimes the casters will see something, and they’ll say, ‘Hey, I wonder what’s going on in the B bombsite,’ so we need to make sure we take that cue and switch over there and show them that,” she said. Then there’s the production staff, who Garozzo and her team are connected to through a technical director. The technical director and production staff create and switch between multiple points of view both in and out of game. Sometimes that means cinematic pans over the map before a match begins, while other times that might mean shots of the players or the audience. Observers have to let them know when games are beginning so that viewers don’t miss crucial opening moments. Once games begin, however, observers mostly have the reins. For Garozzo, a former pro CSGO player, that means entering a mental zone similar to the one she’d go to while competing. “There’s yelling because you’re competing with everyone else, like, ‘Hey, I’ve got a kill; I’ve got a kill; I’ve got a kill. We’ve all got kills going on on-screen.’ Whose is the most important? It’s hard to know,” she said. Garozzo, though, thinks that confusion partially arises from a lack of standard practices in PUBG’s still-nascent esports scene. She hopes to play a role in creating that game’s particular visual language, though she acknowledges that it’s an uphill battle with a circle closing in on all sides.